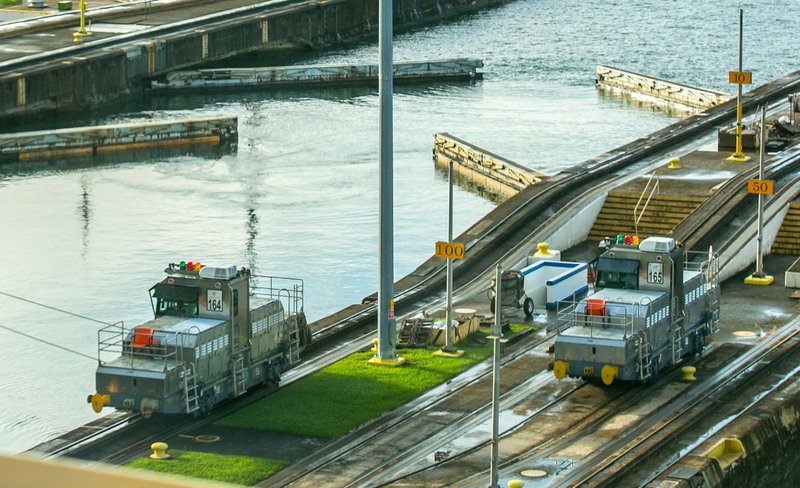 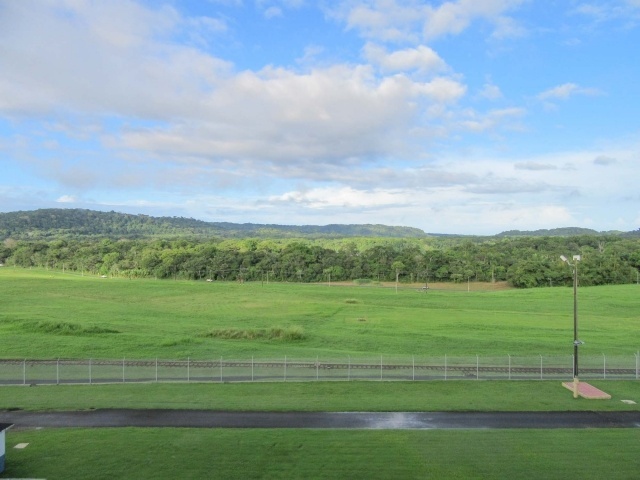 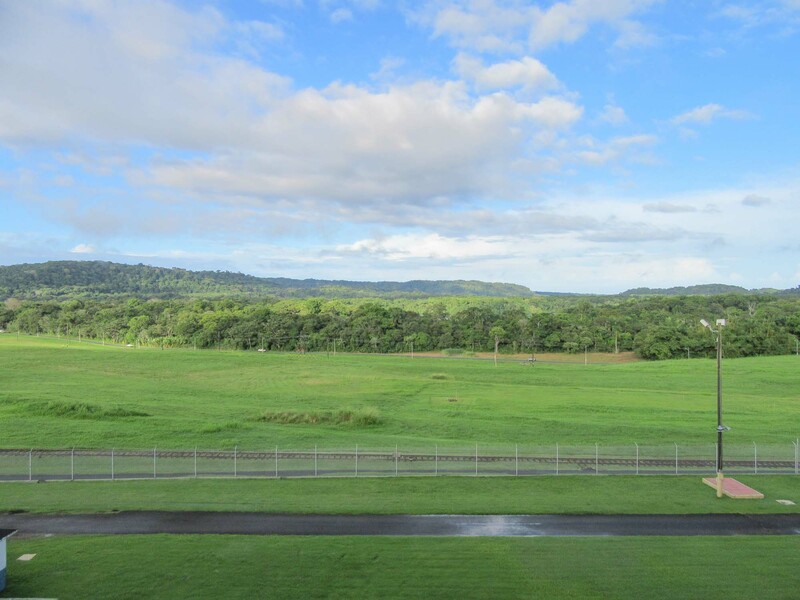 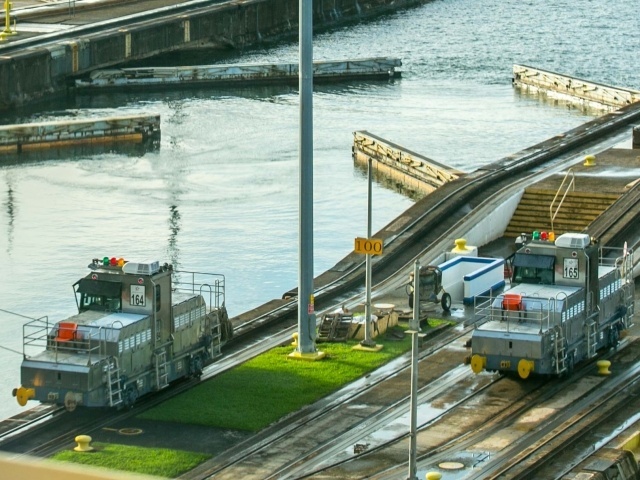 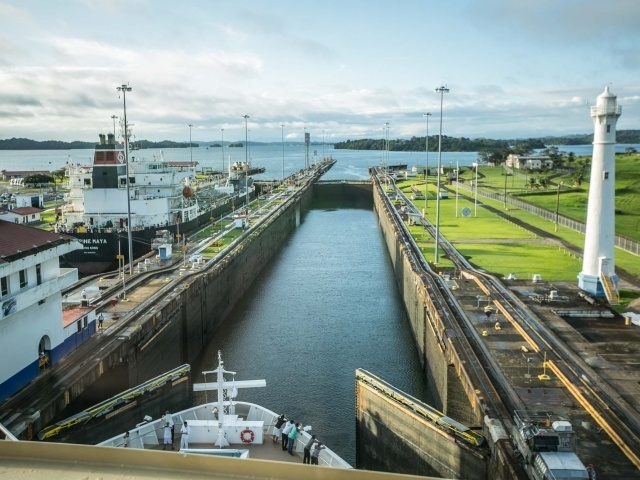 On my recent western Caribbean cruise on Norwegian Jade, our itinerary took us on a half-transit of the Panama Canal (did you know ships can slip into Gatun Lake and turn around?). 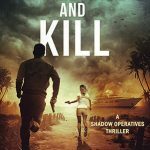 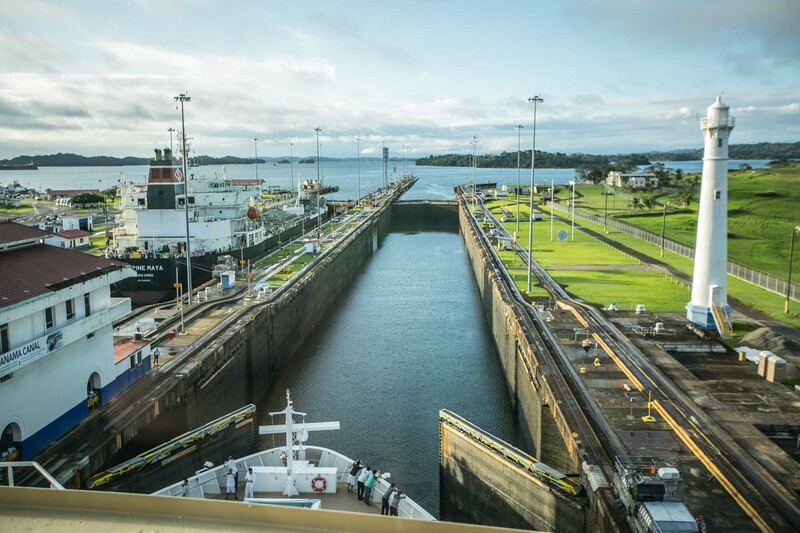 Just after daybreak, the ship entered the canal and nearly all passengers on board gathered around the top ship decks or in the forward observation lounge. 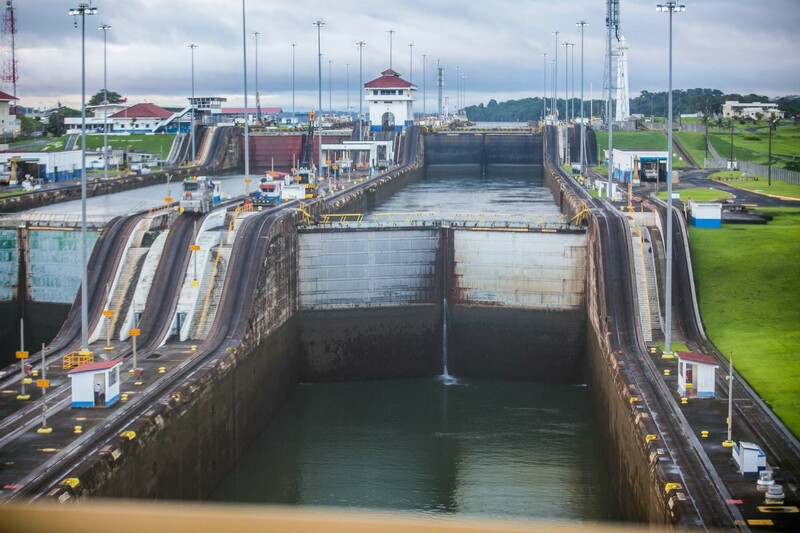 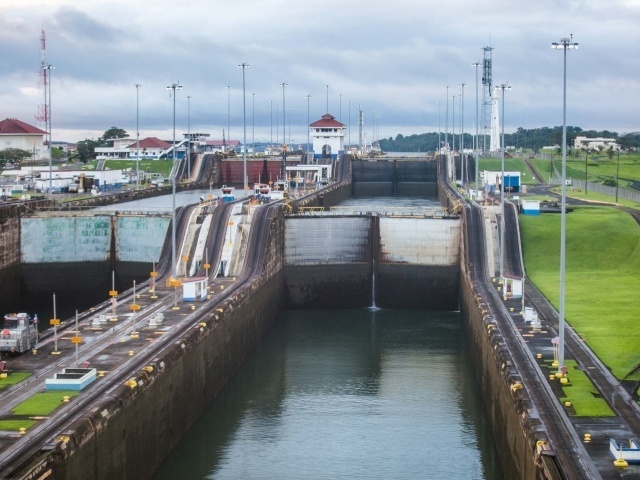 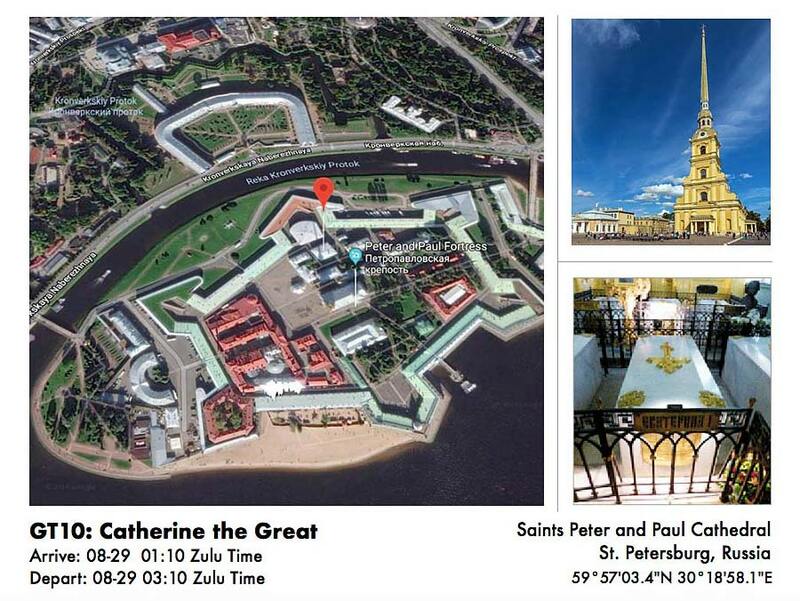 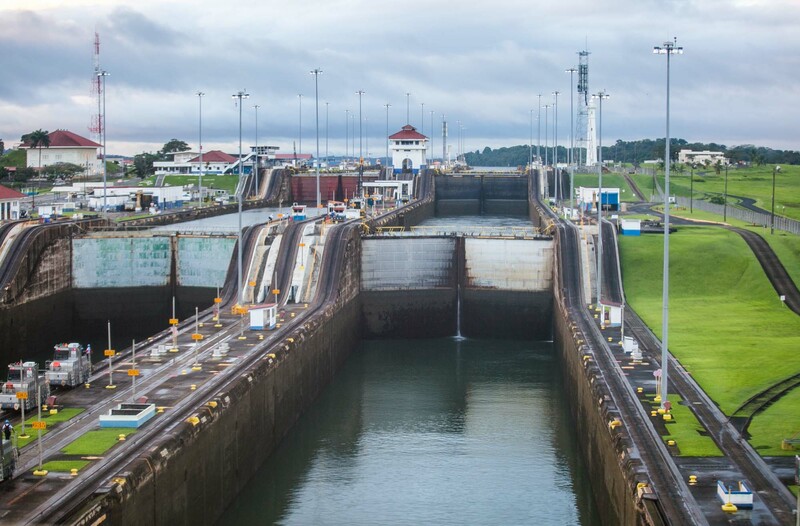 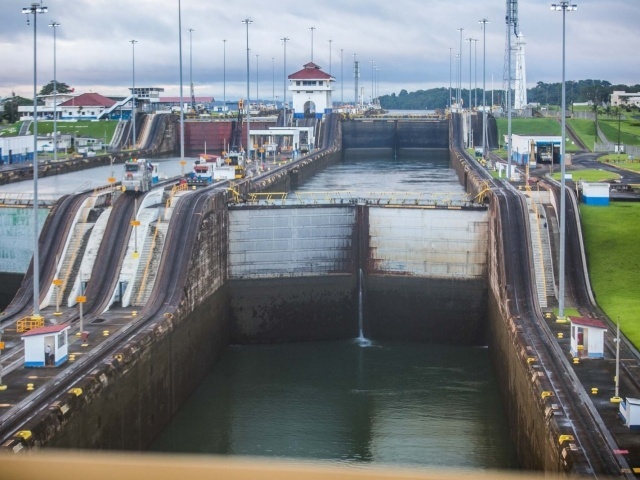 The experience is magical as you watch the ship navigate each of the three locks. 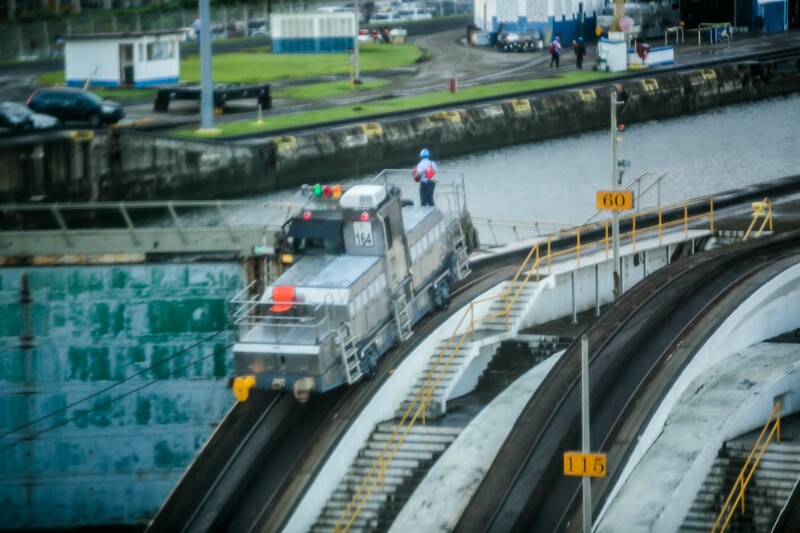 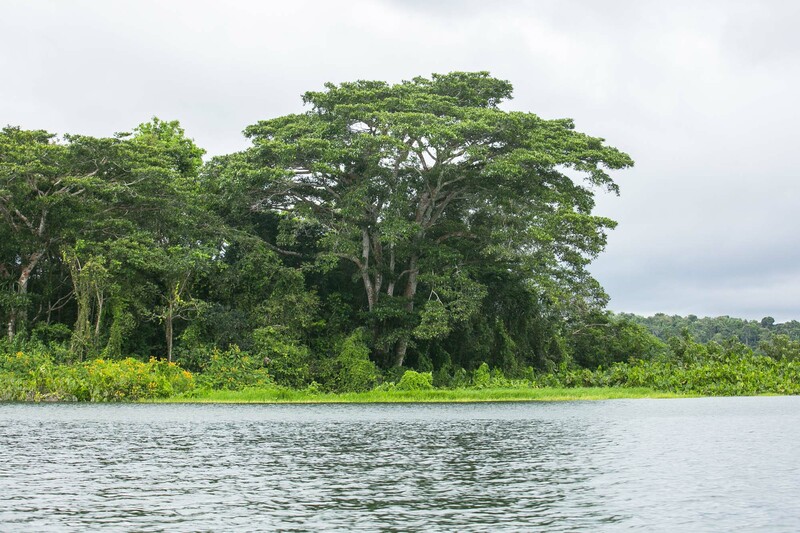 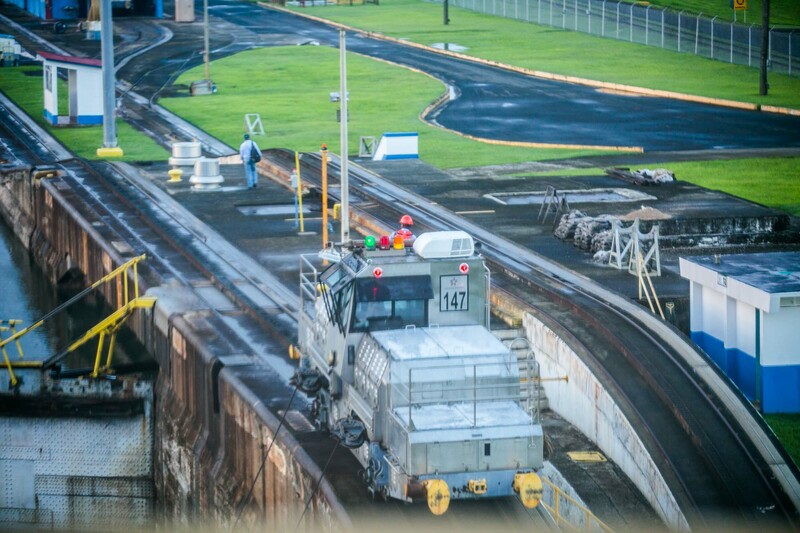 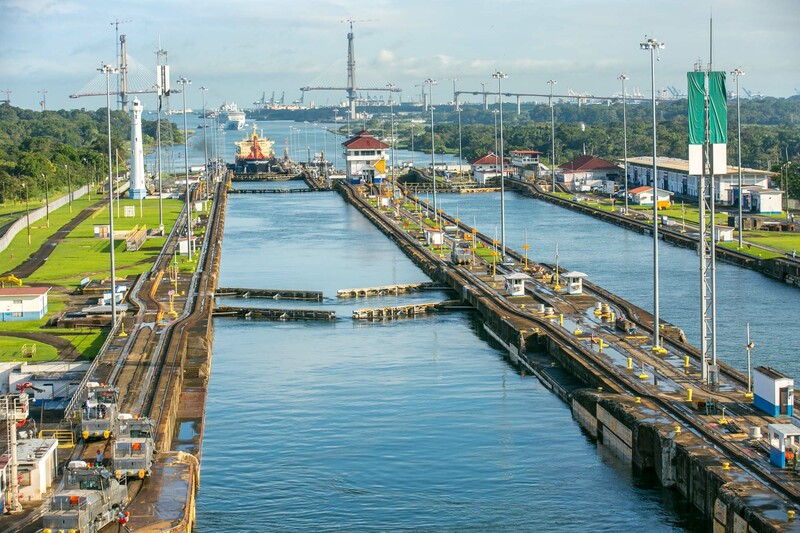 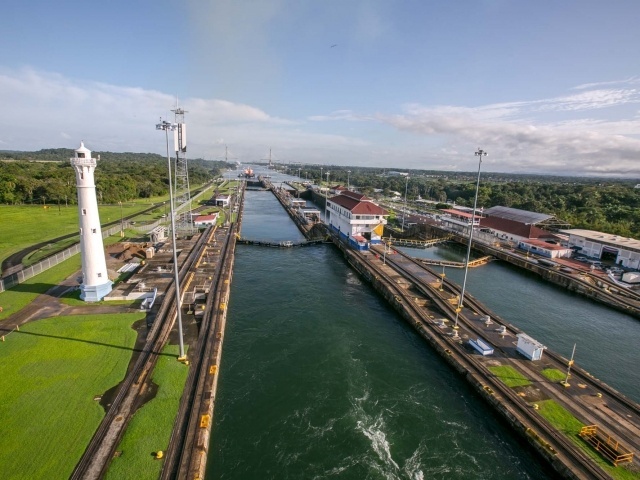 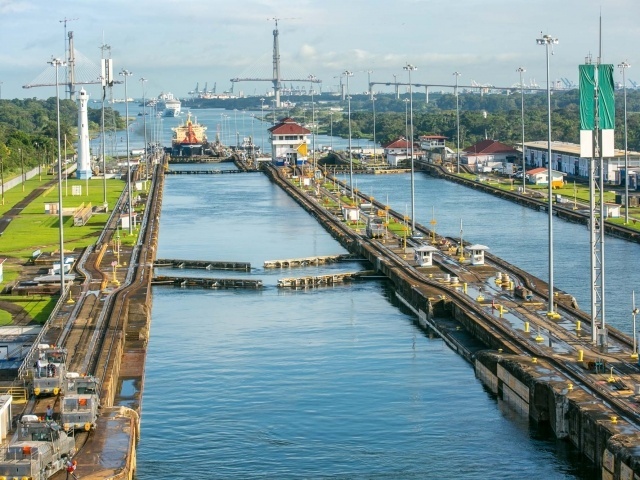 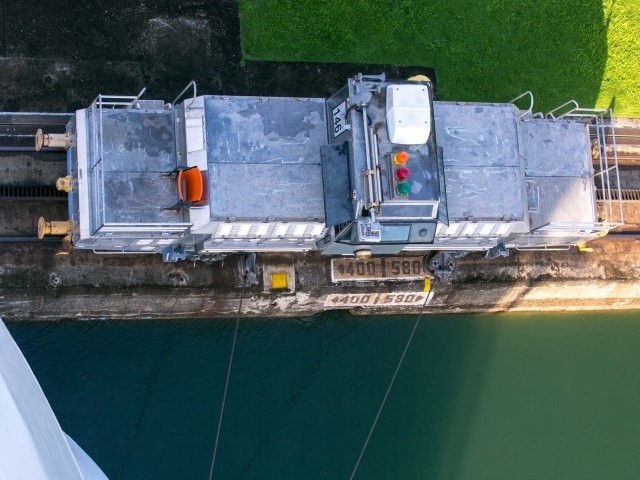 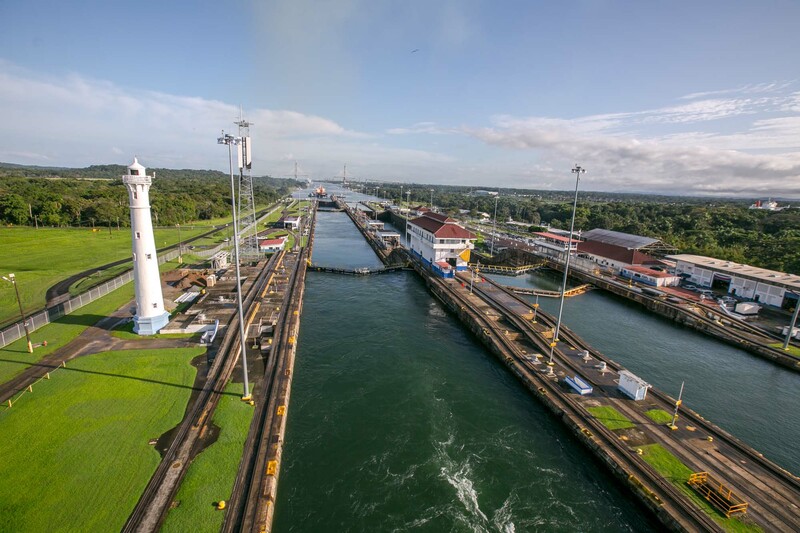 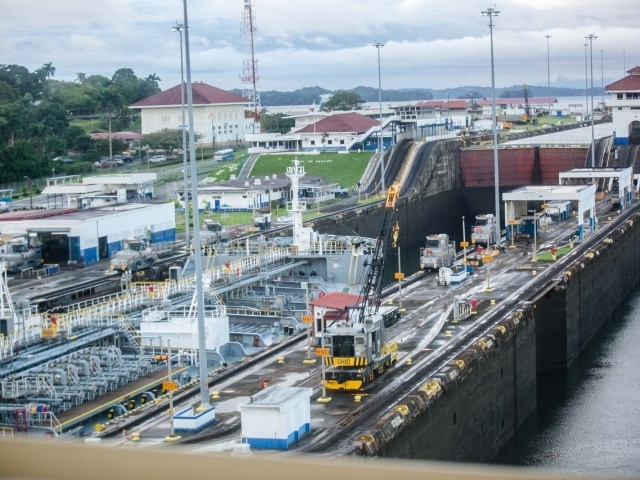 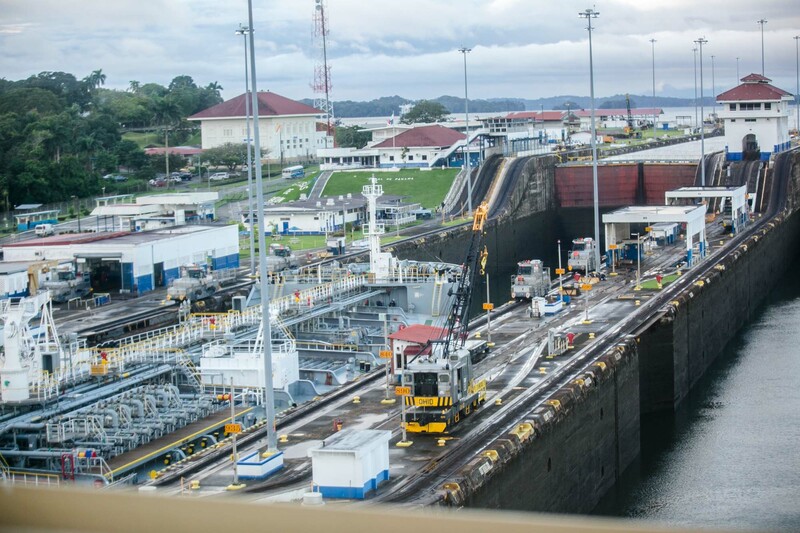 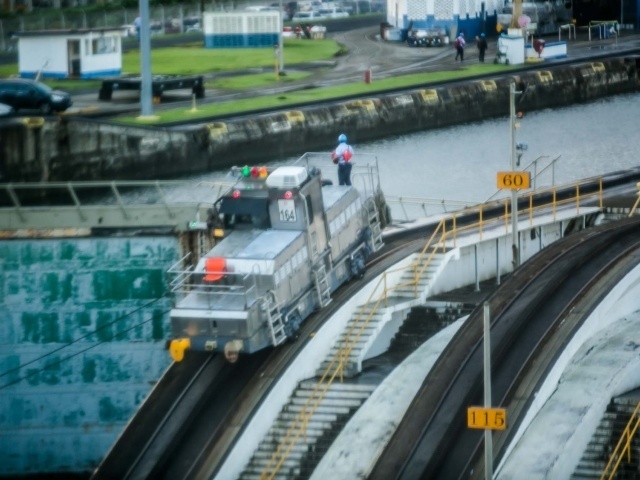 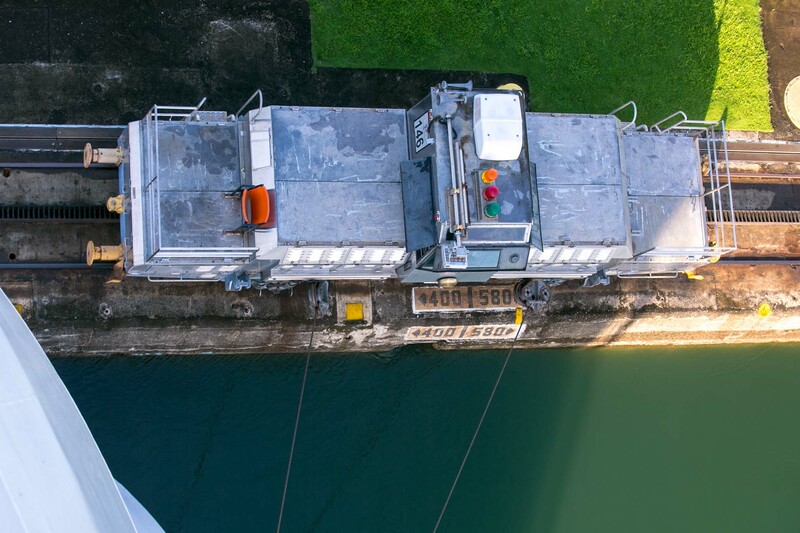 The first chamber raises the ship 27 feet, while the second and third locks bring you up to Gatun Lake at 85 feet above sea level. 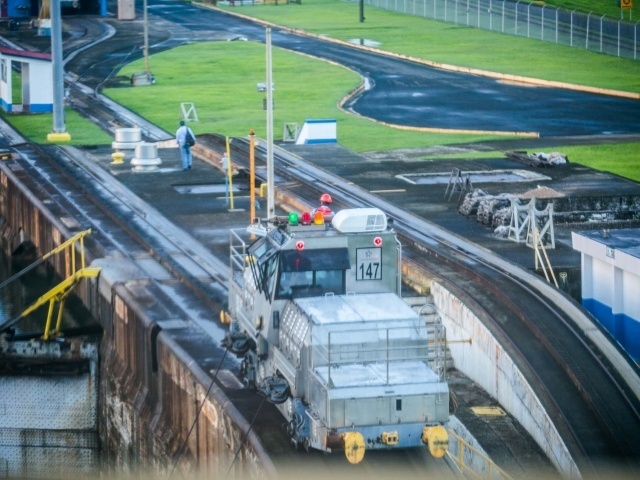 Ships navigate ever so slowly through the canal while electronic “mules” keep them centered by attaching cables to each side. 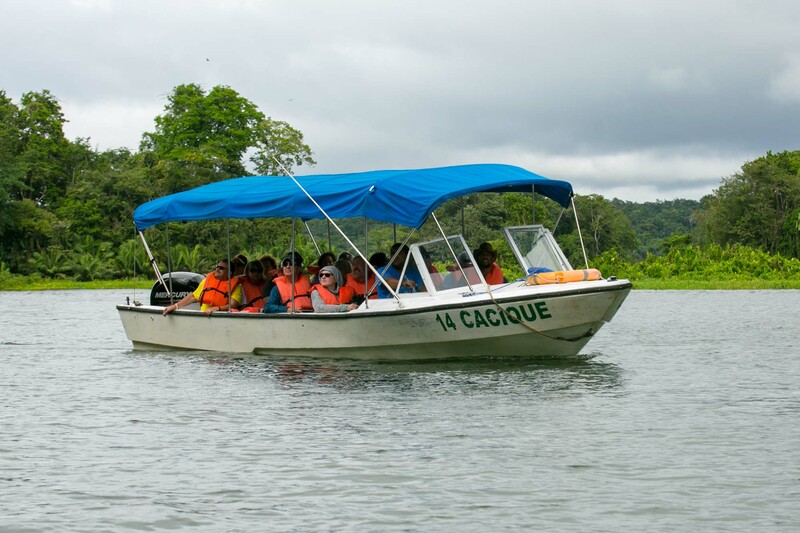 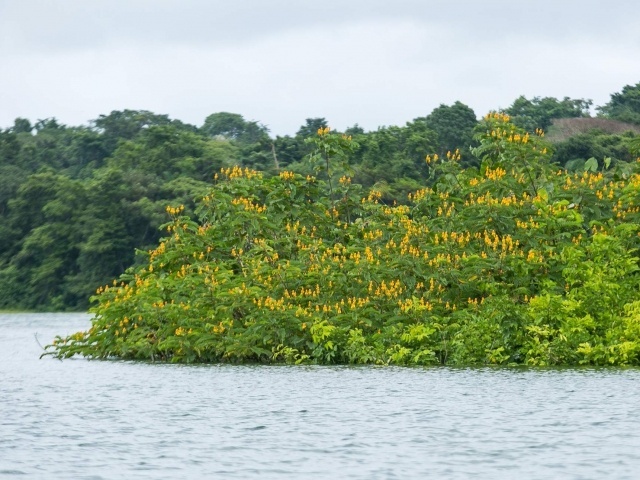 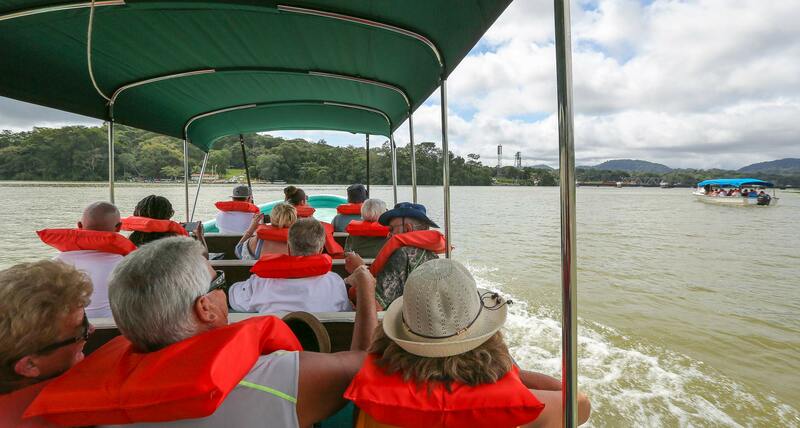 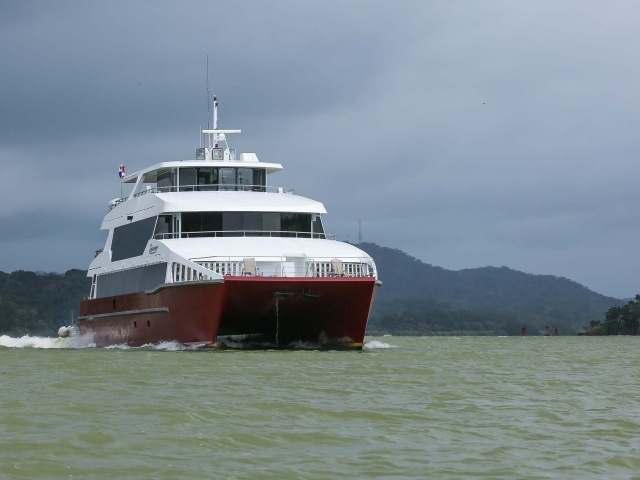 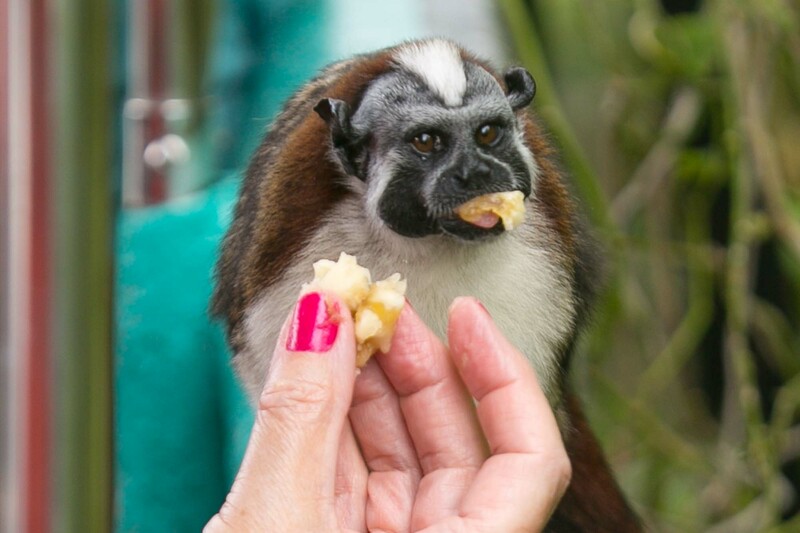 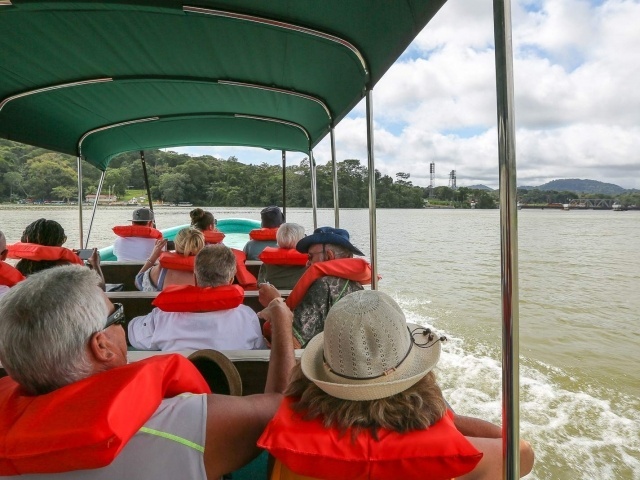 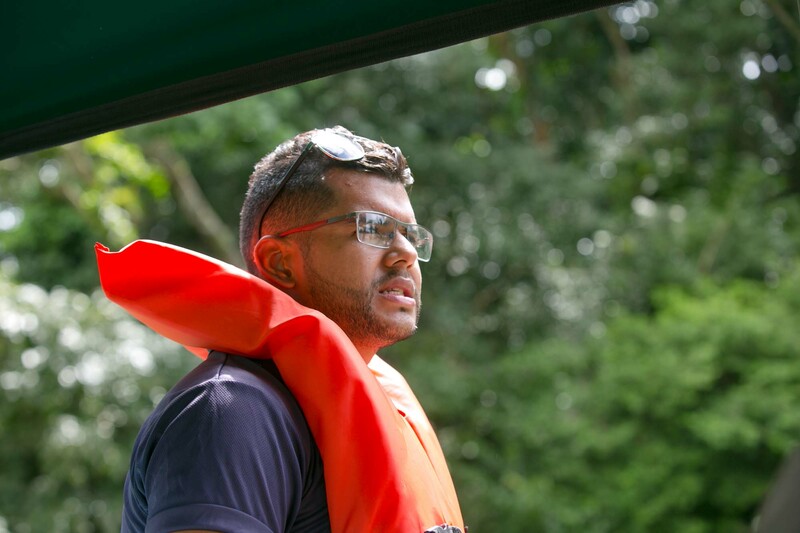 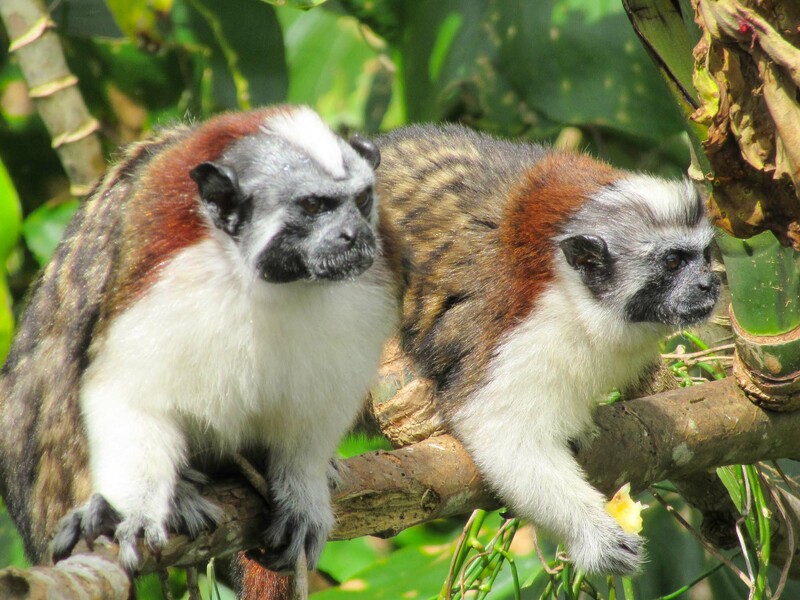 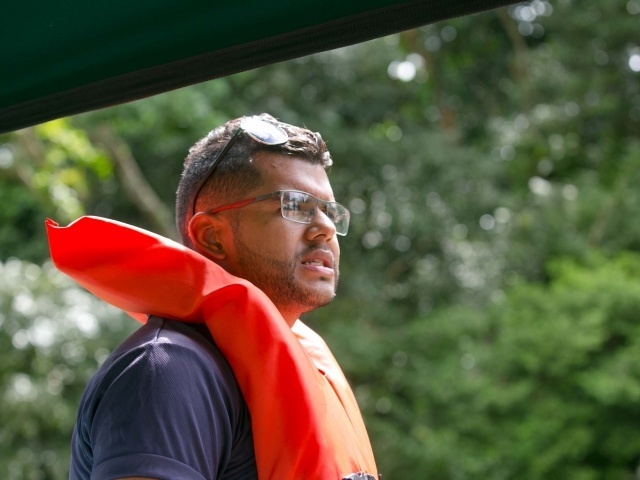 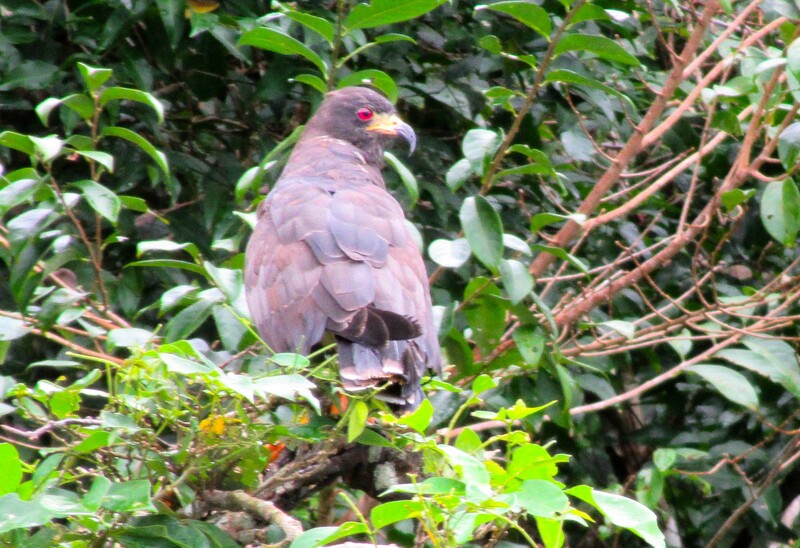 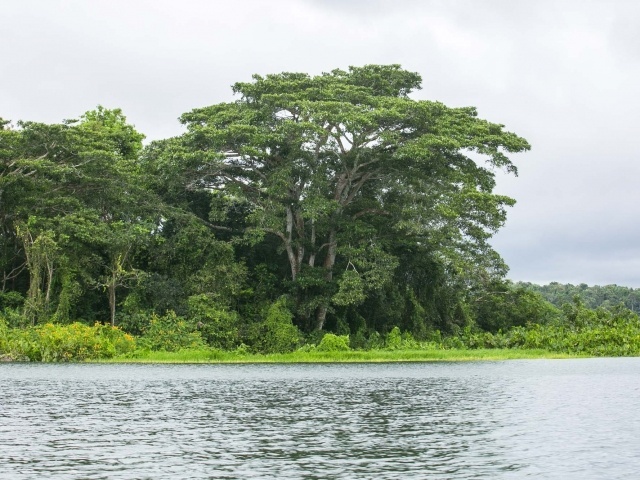 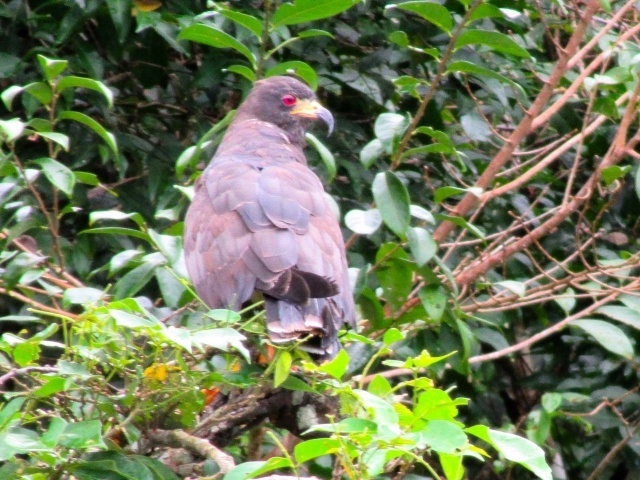 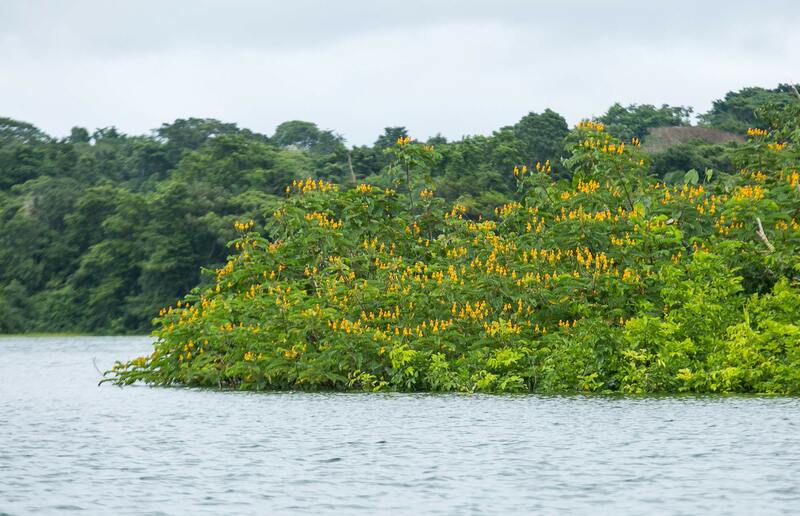 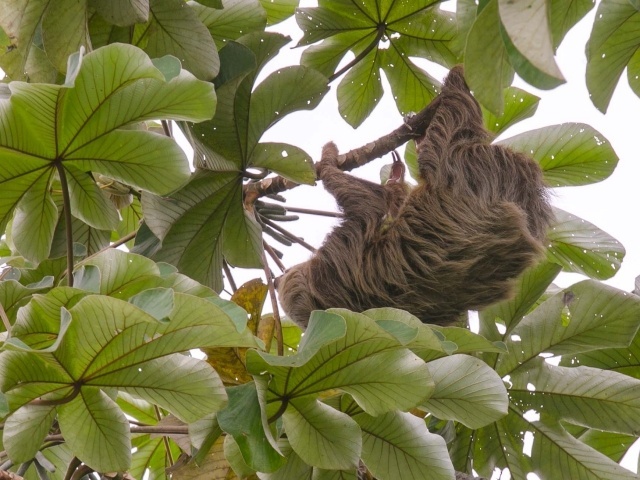 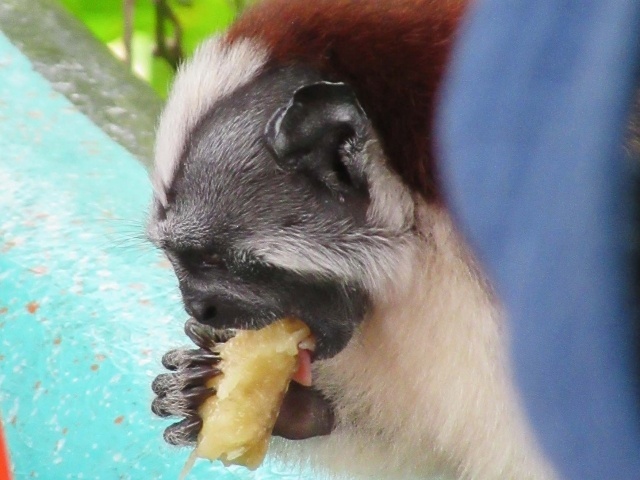 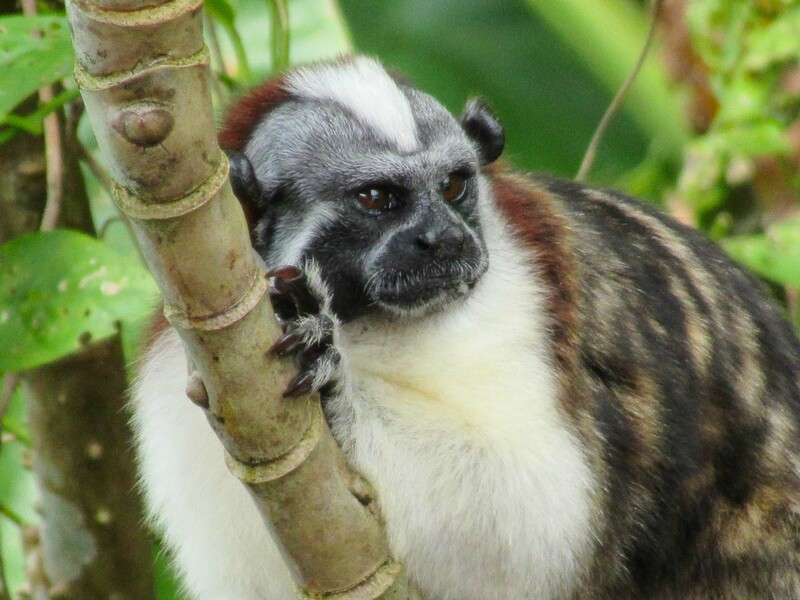 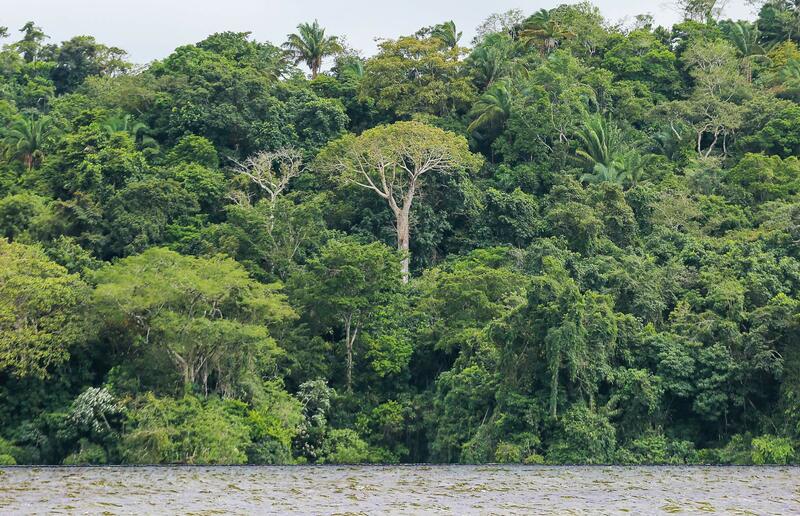 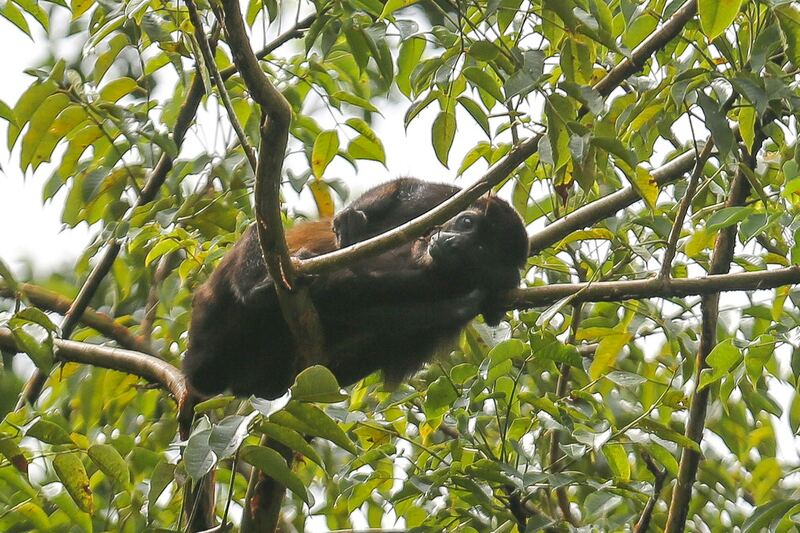 We disembarked at 9 am for a six-hour shore excursion to the Gamboa rainforest and Monkey Island. 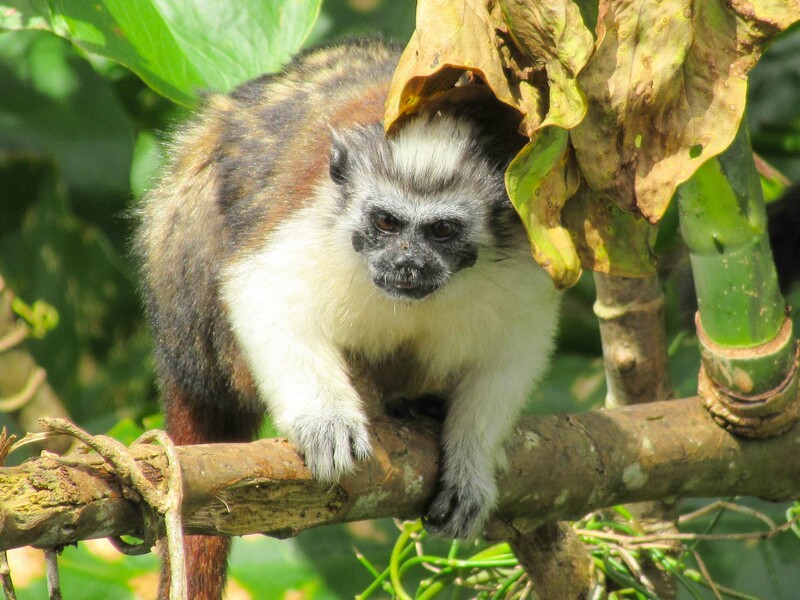 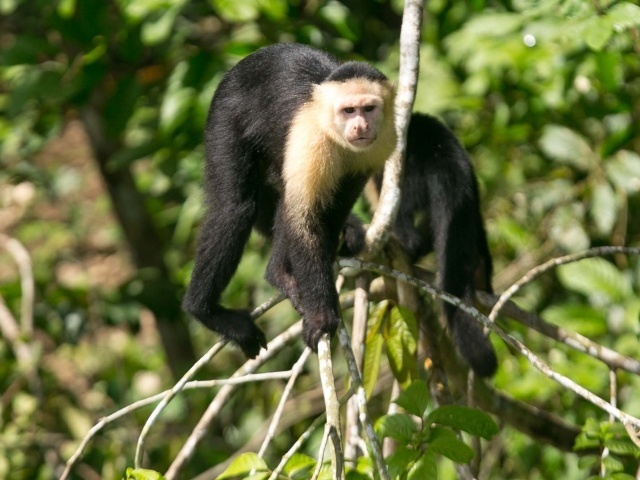 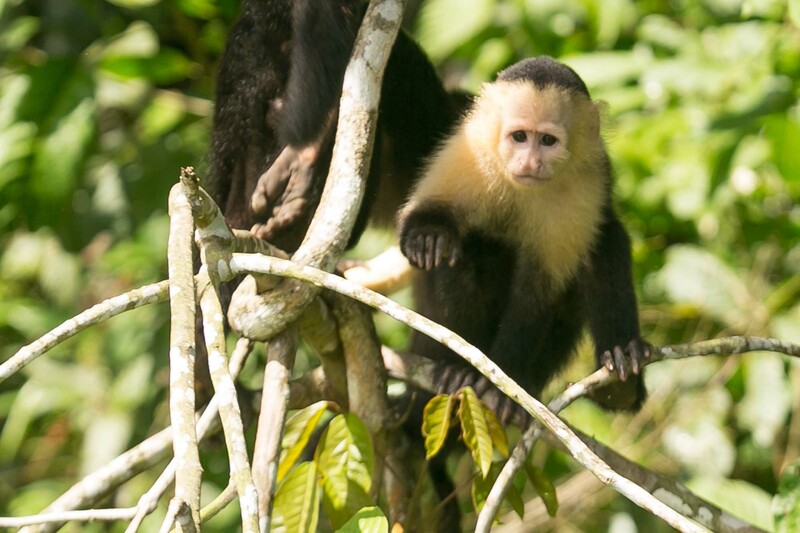 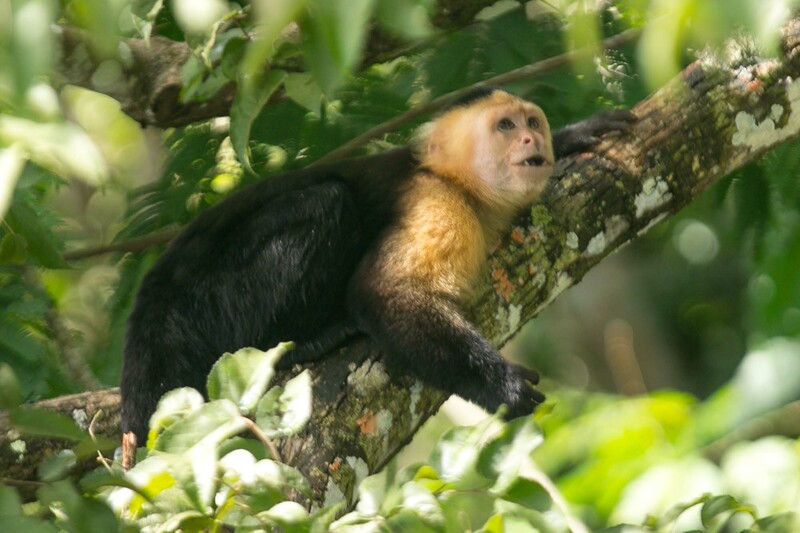 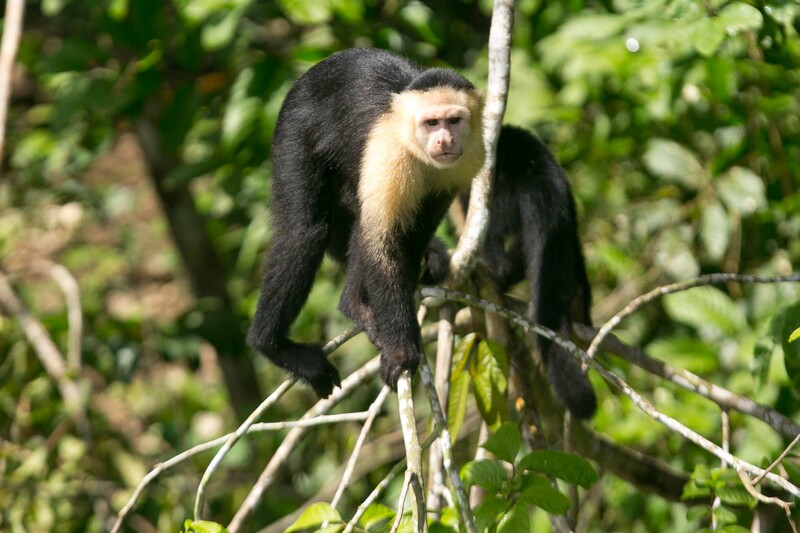 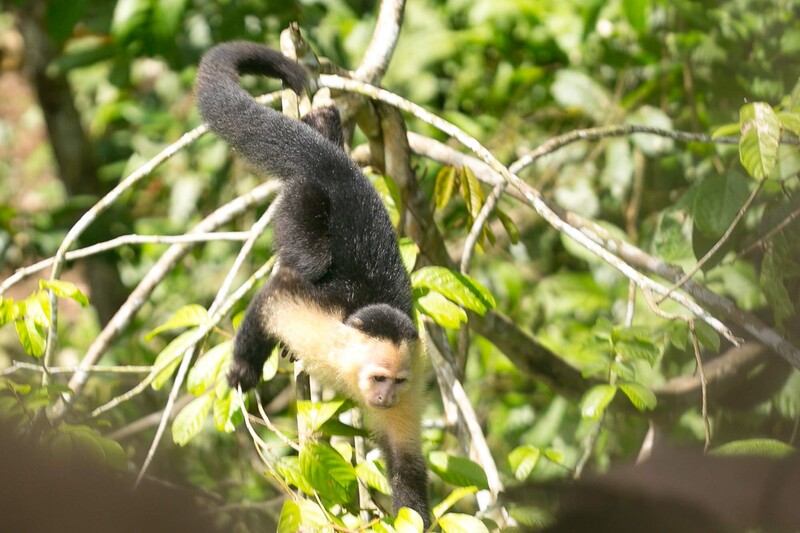 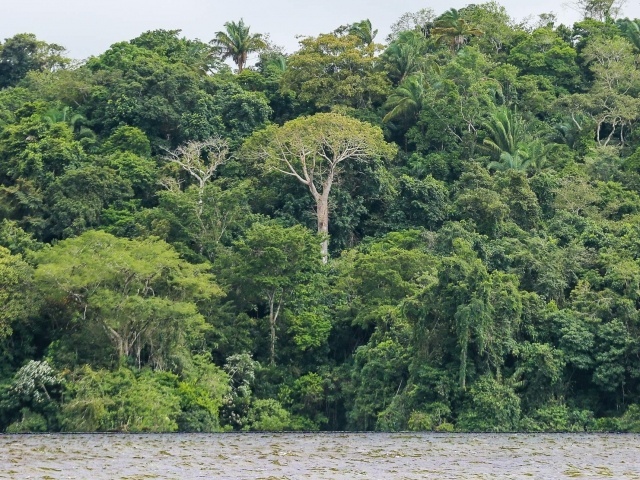 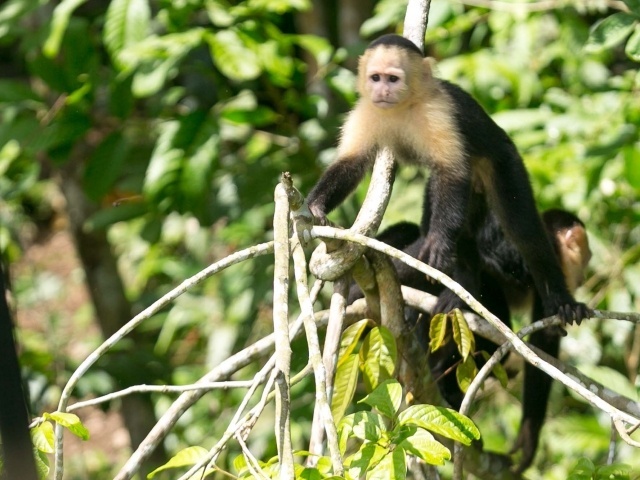 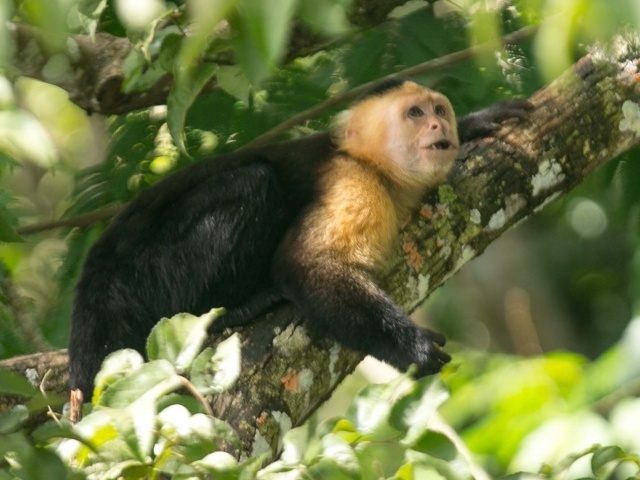 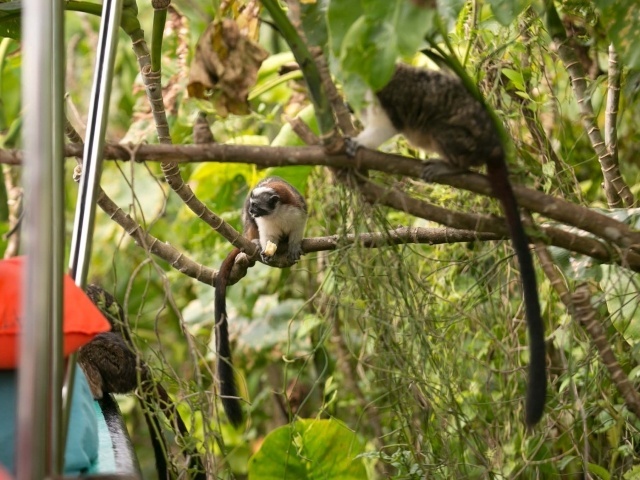 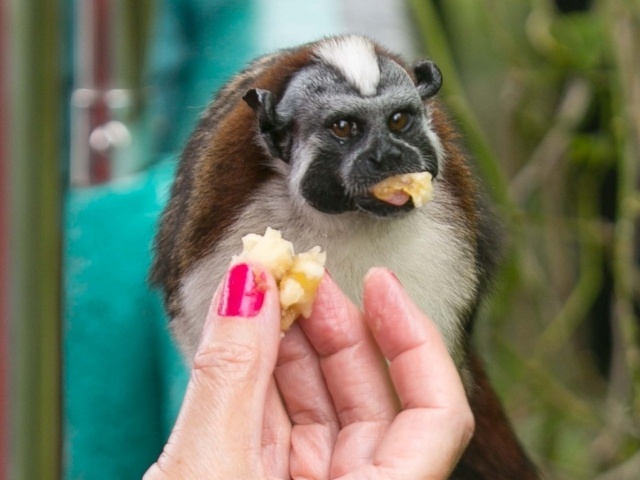 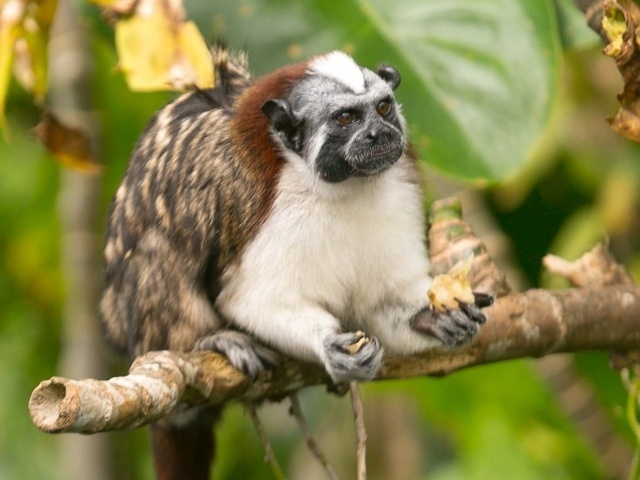 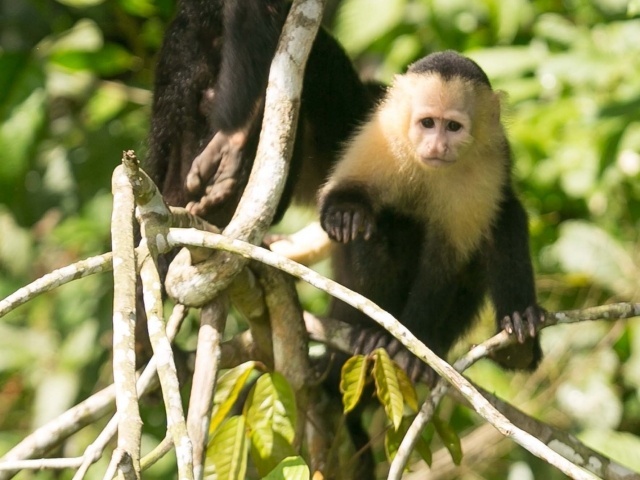 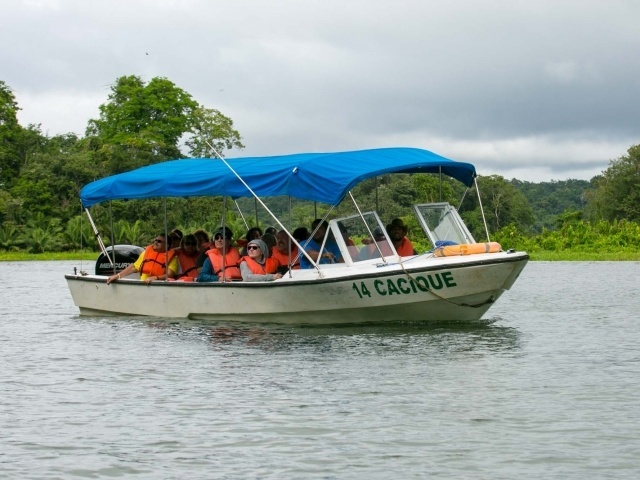 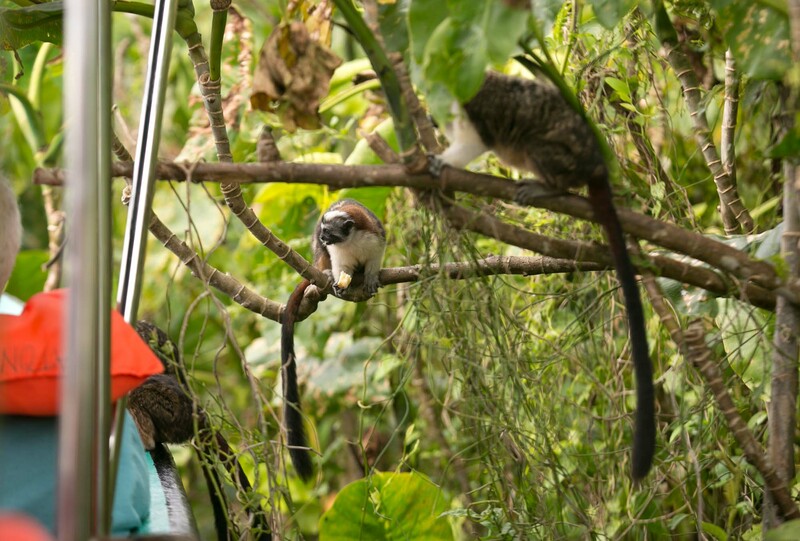 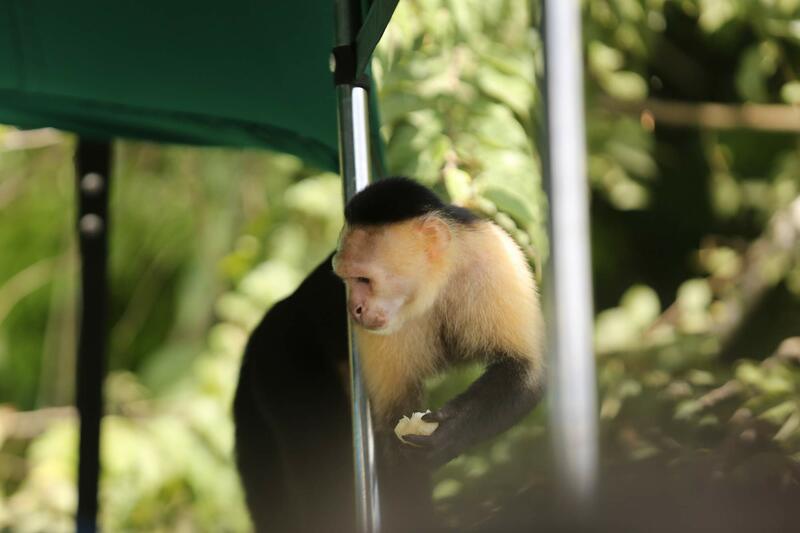 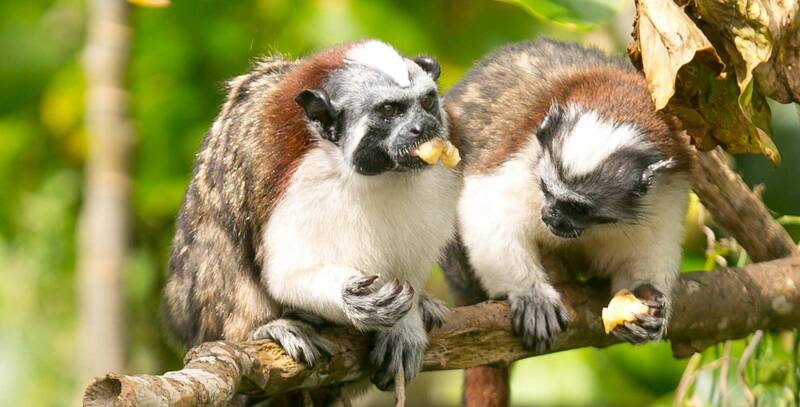 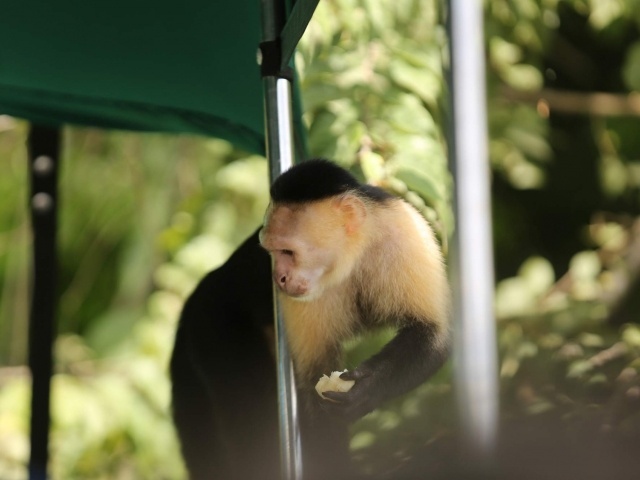 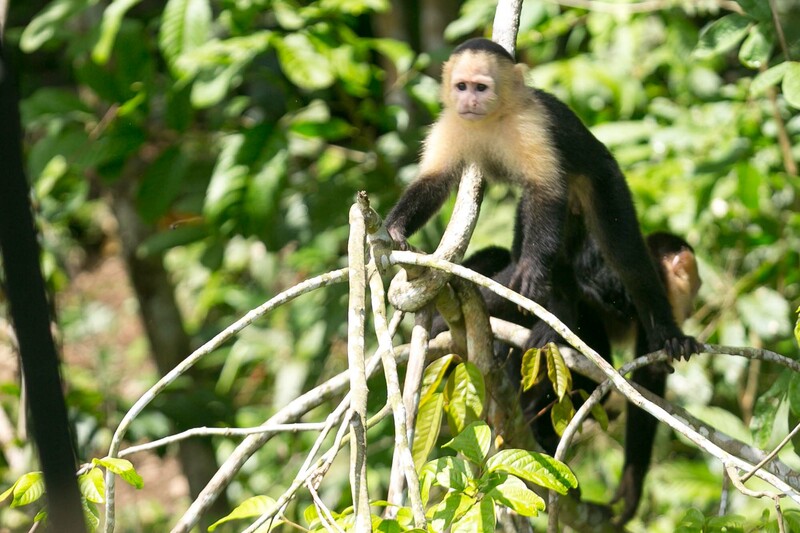 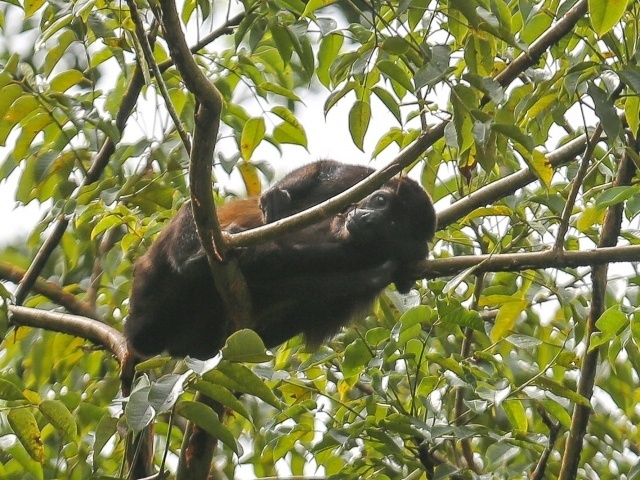 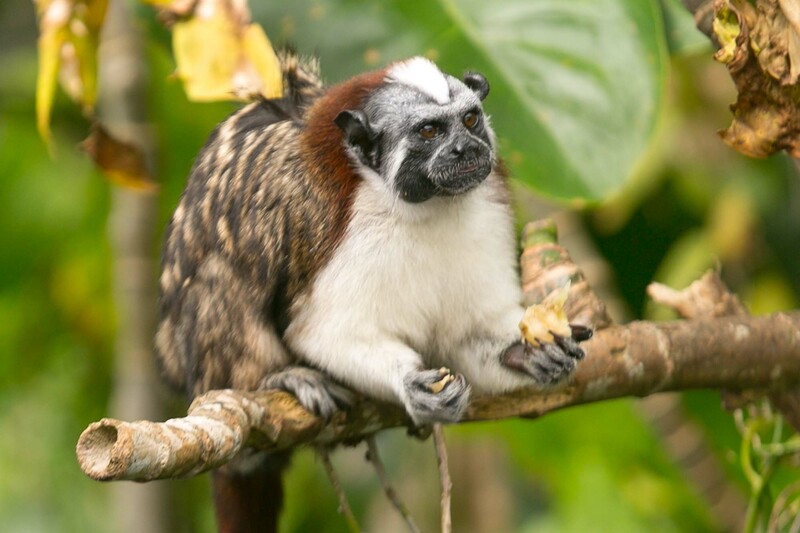 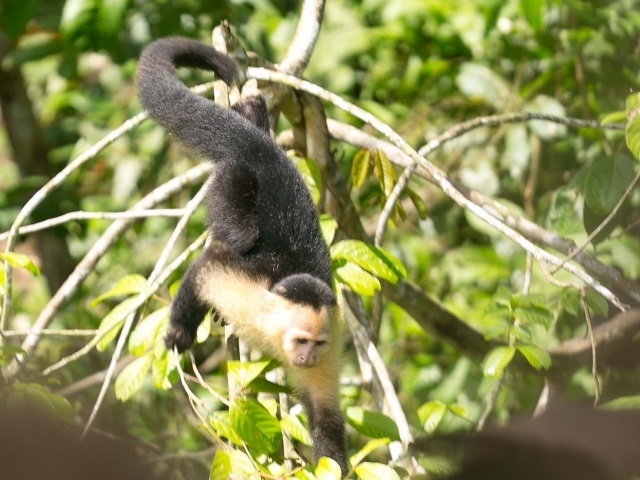 At one point a small troop of white-faced capuchin monkeys and then a group of Tamarin or titi monkeys came right up to the boat. 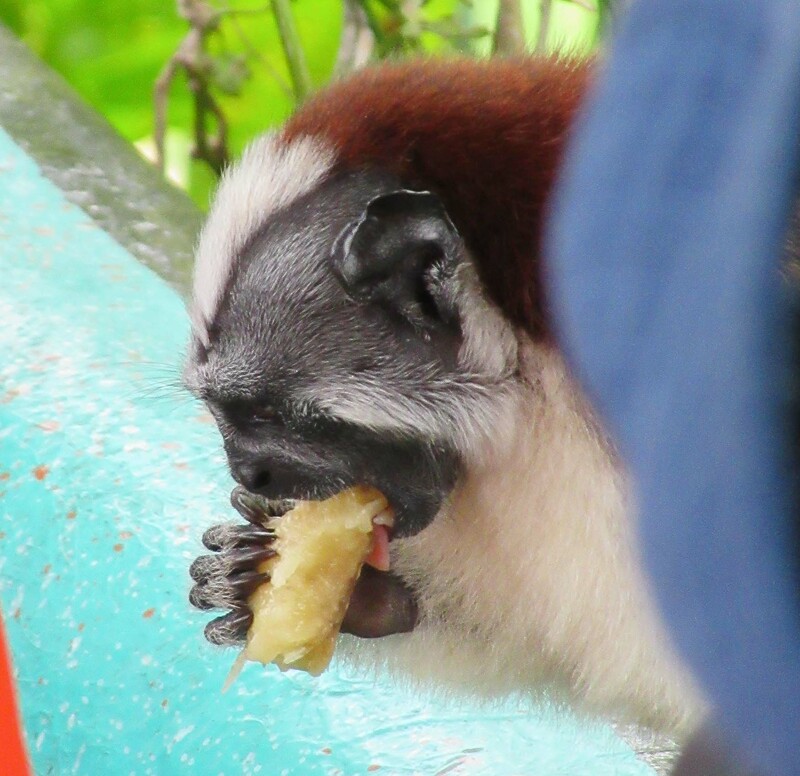 One of the capuchins and then one of the Tamarins climbed onto the boat and accepted a piece of banana and a slice of orange. 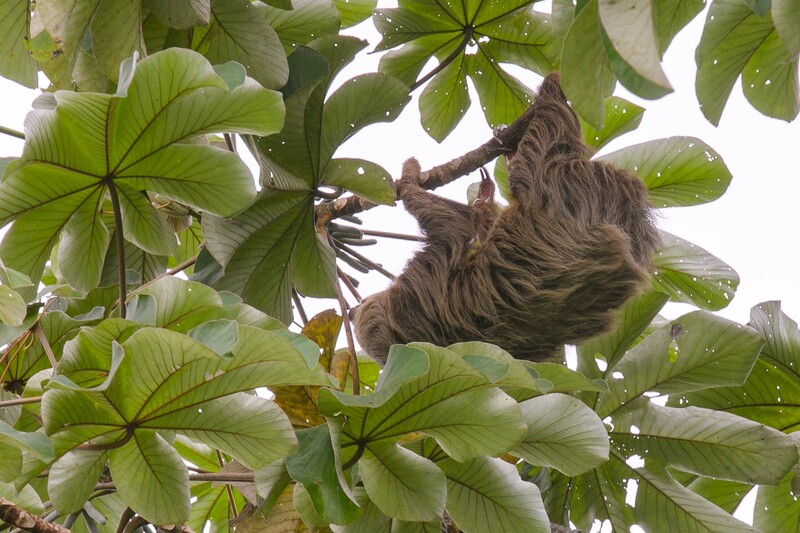 We were thrilled!